Open up the Google Homepage, type in “do a barrel roll” (without quotes) and watch as Google does a backflip right in front of your eyes! Cool, huh? 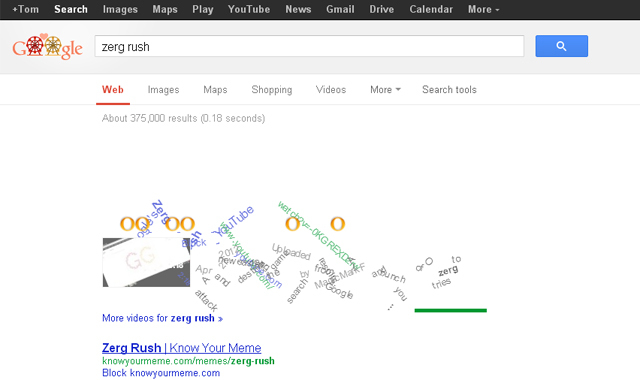 Once again, start with the Google Homepage, tap in “zerg rush”, and hide under your desk as an army of Google O’s attack the results page, demolishing everything in their path! If you’re feeling a bit more heroic, you can use the mouse pointer to ward off the offending letters by shooting at them – Let us know your highest scores in the comments section! It’s not just Google itself that contains hidden gems – If you’re a Google Reader user, go to the Google Reader homepage and tap in the Konami Code (for those of you less geeky, that’s up, up, down, down, left, right, left, right, b, a). Then sit back and watch as your sidebar is overtaken by ninjas! If the last trick was a bit too nerdy for you, look away now! Still reading? OK, try this: type “hexadecimal” into Google, and look at the number of results – it’s displayed in hexadecimal code! This might not be the most useful method of displaying the number of results, as most of us aren’t capable of understanding hexadecimal at a glance, but it’s still pretty cool! What’s even cooler is that this will work with “binary” too, or “octal” if your geek level really is that high! Start off by opening Google Maps. Then navigate to New Zealand, click “Directions” select walking (the little stickman), type “The Shire” into the first box, and “Mordor” into the second box. When you hit “Get Directions”, Google will offer a well-known warning message to assist you on your epic quest! 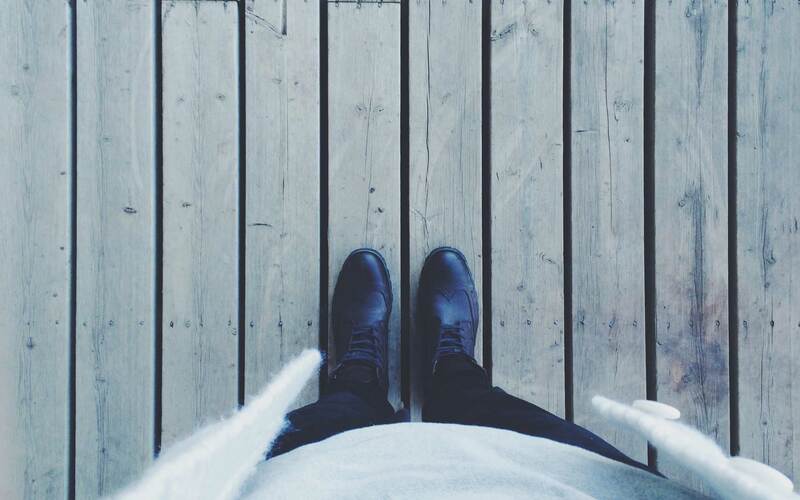 Google will perform a little beatbox routine for you! Not had enough of Kevin Bacon from those infuriatingly annoying TV adverts? Try typing in any actor’s name followed by “bacon number” into Google Search. Google will tell you how many degrees of separation there is between your specified actor and Kevin Bacon, based on the game “6 Degrees Of Separation”! I don’t know how this would ever be useful to anyone, but to be honest I don’t think many of these tricks will ever come in handy, and that’s not what Fun For Friday is about, right? This is only the tip of the iceberg as far as Google’s plethora of tricks, games and hidden secrets go – we haven’t even touched on Google Doodles or their infamous April Fool’s pranks! Have we missed your favourite Google trick out? Let us know in the comments!